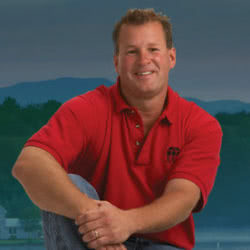 Mike Roach began in Real Estate in 1988 and quickly proved himself to be an outstanding salesman. His experience began in on-site sales at a development in the Washington, DC, area and the Governor’s Club in Chapel Hill, NC. In 1991, he was afforded the opportunity to return to Upstate South Carolina working with three developments on Lake Keowee and was the top sales agent for two years. This success led him to The Cliffs Communities where he was the top sales agent for six straight years before opening Top Guns Realty with his brother Matt on April Fools’ Day 1998. When asked why he got out of the on-site sales game, his response was, “I was looking for something that had some permanence. My family and I were tired of moving around and found the Upstate of South Carolina to be the place where we wanted to spend the rest of our lives. The only way to stay here was to move into the general real estate market.” Since that move, the team of Mike and Matt Roach have been responsible for the sale of hundreds of millions of dollars in real estate on Lake Keowee!